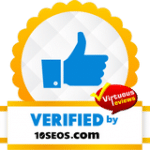 Since 2017, we have delivered quality solutions in web design, SEO, inbound marketing, conversion optimization, and more. 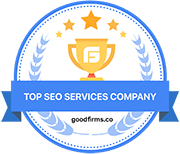 Our hard work in each of these fields has not gone unnoticed and we’re excited to share that we have recently been featured amongst the top SEO consultants in the UK by Clutch in their 2019 research! 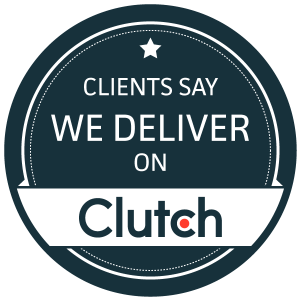 Our positive reviews on Clutch have helped to build our identity as not only just a top digital marketing agency, but also as one of the best ad agencies in the UK, according to our feature on The Manifest as well. The Manifest is an online resource that provides industry reports and other metrics to help businesses narrow their search for quality service providers. We’ve also claimed a spot on Clutch’s sister site, Visual Objects, where buyers can view examples of our work in the web design space. Since joining Clutch and participating in their reviews process, BestSEO4u has been extremely motivated and excited to see what new partnerships we can form from building our brand identity on their site. We’d like to thank our current partners for sharing their kind words with Clutch and for helping us get to where we are now as a company. We can’t wait to see what else 2019 has in store for us!